Managing the consumption and conservation of energy in buildings must now become the concern of both building managers and occupants. The provision of lighting, hot water supply, communications, cooking, space heating and cooling accounts for 45 per cent of UK energy consumption. 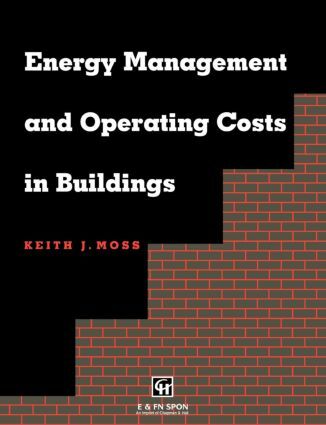 Energy Management and Operating Costs in Buildings introduces the reader to the principles of managing and conserving energy consumpton in buildings people use for work or leisure. Energy consumption is considered for the provision of space heating, hot water, supply ventilation and air conditioning. The author introduces the use of standard performance indicators and energy consumption yardsticks, and discusses the use and application of degree days.